As patients assume more responsibility for their cost of care under employer insurance agreements with high deductibles, many care facilities are beginning to experience difficulty with accounts receivable management. Because of the inflating cost of care, and the fact that many subscribers are not accustomed to the increased payments involved with high-deductible plans, they find themselves unprepared when their final bill for treatment arrives. This "sticker shock" affects more that just patient finances. When care recipients are unable to pay for their treatments, care facilities can quickly rack up bad debt, which creates problems with cash flow that can eventually grow severe enough to affect the quality of care provided. It can also negatively affect the doctor/patient relationship, as patients begin to blame their providers for their financial position. To help avoid this situation, many within the health care industry are calling for increased cost transparency. 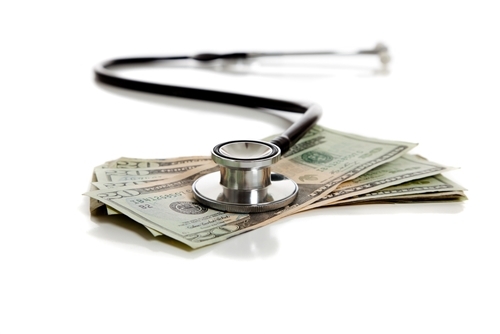 It stands to reason that if patients have a more accurate idea of the cost of their treatment, they will be better prepared to manage any possible resulting medical debt. Last month, the American College of Physician Executives surveyed its members about their opinions on the issue of transparency. Over half of respondents, 55 percent, shared the belief that the transparency movement will strengthen the doctor/patient relationship. As the transparency movement gains steam, facilities may find that more patients become involved in treatment decisions and are better prepared for the cost of care. Until that time, those care centers that are struggling with issues of bad debt are encourage to pursue accounts receivable outsourcing. By having in-house personnel focus on high-value accounts, facilities will notice a sharp decrease in the number of dollars written off to bad debt as well as enjoy a more manageable claims load per employee.